Edmonton Aerial Lift Train the Trainer - The train the trainer program intended for aerial lifts helps to teach the trainers how to safely train potential operators in an industrial setting. Trainers will be provided with in-depth instruction about the workings of aerial lift machines. The program is offered on an open enrollment basis and delivered at selected training locations. Before the certification, trainers are assessed and graded based on their knowledge and demonstrated skills. 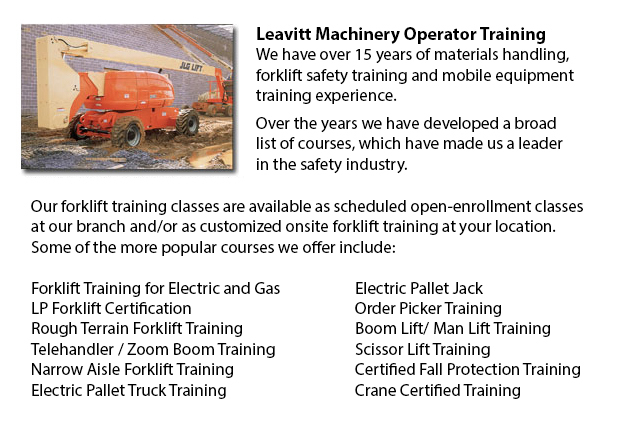 The Aerial Lifts Train the Trainer Certification Program emphasizes practical learning. As the number one training provider within the industry, we give the best hands-on training possible through opportunities to practice concepts and techniques taught within the classroom. Along with hands-on experience, trainers develop general understanding of instructional methods and machinery theory, field and classroom communication skills, and ability to efficiently train and assess operators. Trainers will gain knowledge about what traits make a successful trainer. The Aerial Lifts Train the Trainer Program likewise teaches the proper techniques needed to be able to express the correct information inside the classroom and field setting. There are three factors of equipment operation which the trainer must learn how to convey to operators: what to carry out; how to do it; and why it needs to be carried out. In the program, trainers will be provided with the latest, detailed reference material to better help them convey the information to machine operators. The manuals utilized, contain detailed information on all aspects of industrial mobile machine operator training. Included within the package are training aids which provide a visual reference to improve the learning experience. The equipment-specific training products contain necessary materials for both the operator and the trainer: overhead transparencies, videos/DVD's, equipment models, safety message posters; digital training aids and stability pyramid.